Buy an HDTV Now or Wait for the 2013 models? With the first 2013 HDTV models arriving in just a few weeks, TV manufacturers must provide large dealer incentives to clear out their remaining 2012 models. The dealers then pass the savings on to you. For the most part, the 2013 models will offer nearly identical performance specs (according to our hands on evaluation at CES and company sources). So unless you're holding out for an Ultra HDTV set, there is little to lose by going with one of the 2012 bargains. Most of LG's new HDTV models will be available later this month or in March, with the more expensive models in April or later. Thinner bezels are the big change, along with the a new voice remote or a built-in HD camera on the higher-end models. 2013 entry level 720p and 1080p plasmas are similar to the leftover 2012s except for the deep discounting now available. They will have no mid-end plasmas in 2012, so if you are looking for a 6000, 6500 or 7000 model, the 2012s are the way to go. There will be major picture improvements to the top of the line 8000, called the F8500 plasma series for 2013. However, the 2012 51-inch 8000 is now selling for 46% off its $2200 retail price. We expect the new F8500 models will be priced hundreds of dollars higher when shipped. The thin 2013 F series edge-lit LED LCDs claim better black and light uniformity than the 2012 ES series, but at initial prices far higher then the heavily discounted close-out models, you need to make the call if the 2012s are good enough for you. Samsung will add more Smart features and apps in 2013. 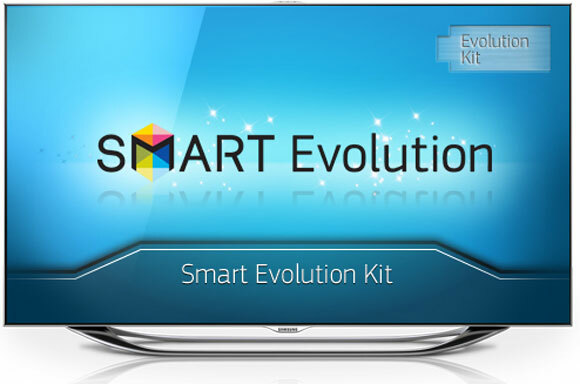 However, keep in mind the 8000 models are upgradeable with the Samsung Evolution Kit coming later in the year (price to be announced). The EH series backlit LED LCDs are not expected to have any major performance improvements. Unlike its competitors’ lines, Panasonics 2013 LEDs appear to have significant enhanced performance over the current models. In plasma, the big improvements will be new panel technology in the 2013 VT60 and ZT 60 series. The 2012 ST50 and the GT50 series models offer the best price/performance ratio in the line at a very affordable price, with a great image and the most popular features. The GT adds THX and more shades of grey. It’s well worth the $40 step-up over the 50-inch ST. Unless you want the latest and greatest, now is an excellent time to buy a “new” TV. Many of last year’s models offer nearly identical performance and features in yet will be several hundred dollars less expensive.